Pfizer is set to implement a new retail, hospital services and internet healthcare strategy in China as part of a deal with local online pharmacy and health services platform Jianke. 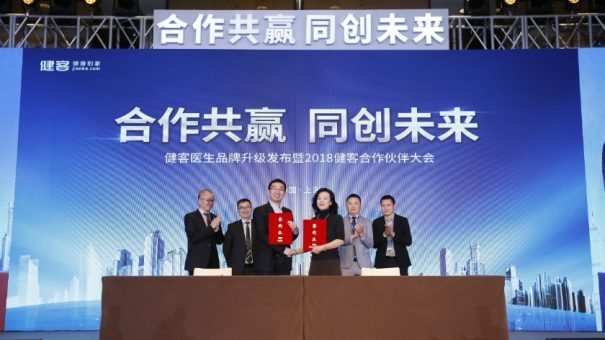 The strategic cooperation agreement will also see the pharmaceutical company work with Jianke on a new “omnichannel retail system”. Ren Xiaoxiu, general manager of national retail business at Pfizer China, said: “Pfizer China will leverage jianke.com’s internet-based new retail channel to create our own B2C and online-to-offline businesses as well as develop a brand-new marketing channel. Pfizer saw increased demand in the third quarter of this year from China for many of the products that will be held by its Established Medicines unit, including cholesterol medicine Lipitor (atorvastatin), blood pressure drug Norvasc (amlodipine) and Sulperazon (sulbactam/cefoperazone), an antibiotic. The company’s deal with Jianke comes as that firm upgrades its Jianke Doctor brand, improving its online consultation service with the addition of an AI-powered medical assistant and providing a new, unified management programme for chronic disease patients. Jianke said the platform, which has 100,000 registered doctors who provide more than 300,000 consultations per day, would now provide a “one-stop ‘internet + healthcare’ service”. The changes come against a background of healthcare reforms this year within China, including moves towards medical reform, online health policies and the development of an online healthcare system. Founded in 2006, Guangzhou-based Jianke plans an Initial Public Offering (IPO) in the US next year and, after raising $130 million in a private round of fundraising in September, is currently thought to be worth $500-600 million.